This kitchen under cabinet 2w cool white LED light in polished chrome finish is 230v mains operated, energy efficient and practical. It’s suitable for surface or recessed mounting below kitchen cupboards to illuminate the worktop or as cabinet display lighting. 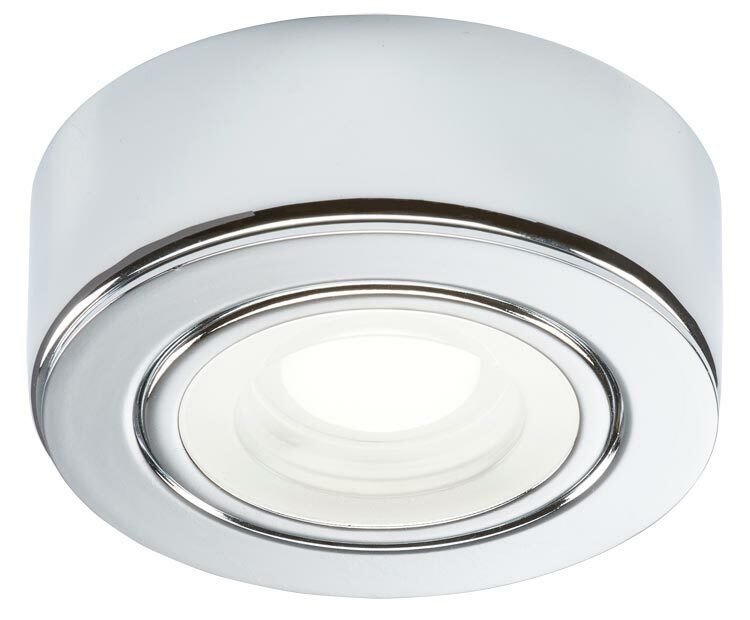 Polished chrome 73mm diameter body and lens containing non-replaceable LED’s to illuminate your kitchen worktop with 140 lumens of cool white light.